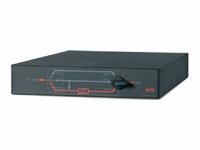 Frequency and voltage regulation - Gives higher application availability by correcting poor frequency and voltage conditions without using the battery. Manual maintenance bypass - Reduces installation costs by eliminating the need for an external mechanical bypass. 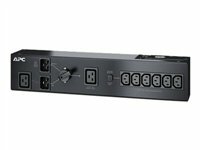 Network manageable - Provides remote power management of the UPS over the network. Scalable runtime - Allows additional run time to be quickly added as needed. 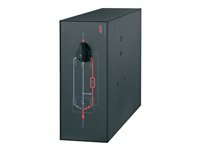 Dual mains input - Increases availability by allowing the UPS to be connected to two separate power sources. 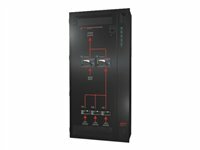 Input power factor correction - Minimizes installation costs by enabling the use of smaller generators and cabling. Modular design - Provides fast serviceability and reduced maintenance requirements via self-diagnosing, field-replaceable modules. Shippable with modules installed - Enables pre-installation UPS staging and testing and faster installation. Battery replacement without tools - Enables fast battery replacement, lowering Mean Time to Repair (MTTR). 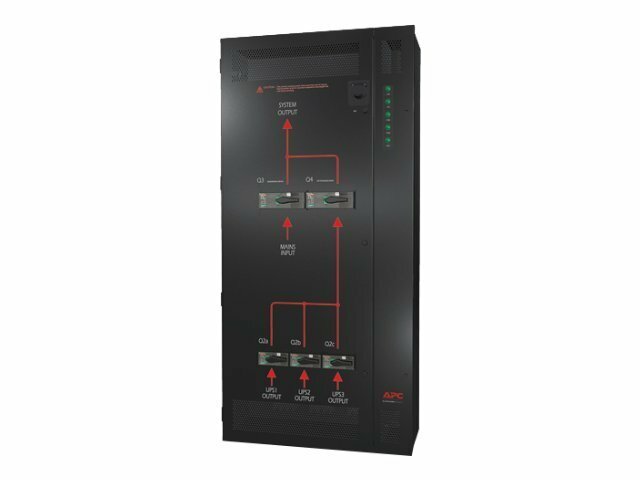 Automatic internal bypass - Supplies utility power to the connected loads in the event of a UPS power overload or fault. 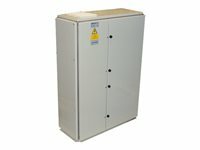 Battery modules connected in parallel - Delivers higher availability through redundant batteries. Temperature-compensated battery charging - Prolongs battery life by regulating the charge voltage according to battery temperature. SmartSlot - Customize UPS capabilities with management cards. InfraStruXure Manager Compatible - Enables centralized management via the APC InfraStruXure Manager. LCD display - Alpha-Numeric Display which displays system parameters and alarms. Programmable frequency - Ensures compatibility with different input frequencies.